Voters overwhelmingly supported local boater Nils Nehrenheim, who actively opposed Waterfront proposal. REDONDO BEACH — A real estate developer’s ambitious plan to invest $300 million into the revitalization of Redondo Beach’s King Harbor might not ever come to reality after enduring another setback at the polls on May 16. 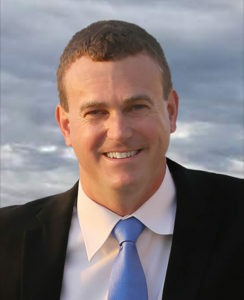 Nils Nehrenheim, a boating advocate and vocal opponent of CenterCal’s “The Waterfront” proposal, was elected to the Redondo Beach City Council, defeating incumbent Martha Barbee in a runoff election. The boating advocate garnered more than 60 percent of the vote in the May 16 runoff, according to official results. Nehrenheim’s elevation to the City Council means CenterCal’s future attempts to gain support from the dais for its planned $300 million revitalization – some reports have the budget nearing $400 million – of Redondo Beach’s aging waterfront will be an uphill battle. Bill Brand, a slow growth candidate, was elected mayor in March’s general election, defeating incumbent Steve Aspel, who favored an aggressive redevelopment of King Harbor. The Waterfront proposal had at least one skeptic on the dais – Council member Steve Sammarco – when the City Council deliberated an appeal of CenterCal’s plans in October 2016. Sammarco is no longer on the council but CenterCal still faces the prospect of overcoming a potential voting bloc of Brand (in a tie-breaker situation), Nehrenheim and new City Council member Todd Loewenstein – assuming the El Segundo-based developer has another opportunity to bring the Waterfront proposal, in its current form, in front of the City Council ever again. Nehrenheim, who will be sworn in June 6, said at least two of the five council members are like-minded on the waterfront. The possible 3-to-2 make up of the council is significant since the mayor could veto any 3-2 votes. Brand also holds the tiebreaker vote should the council be deadlocked at 2-2. Nehrenheim told The Log he believes his election to the council gives boaters and slow-growth waterfront activists a powerful voice on the dais, as Brand could conceivably lodge deciding votes on substantive issues surrounding King Harbor development. Indeed the future of King Harbor – and the immediately surrounding area – could be altered from CenterCal’s most recent plans during Nehrenheim’s first term on the dais, which runs until 2021. The new council member hopes to see a new waterfront proposal – one advancing a smaller revitalization footprint and a safer boat launch ramp location than currently proposed – before his first term is done. Nehrenheim also told The Log he hopes to see the Redondo Beach electorate determine new zoning regulations for the 52-acre AES power plant, which is currently up for sale. The AES plant is directly across the street from King Harbor. Of course Nehrenheim’s election – when combined with Brand’s defeat of Aspel, a voter-approved ballot initiative and a California Coastal Commission decision – certainly puts current plans to revitalize the Redondo Beach waterfront on hold. 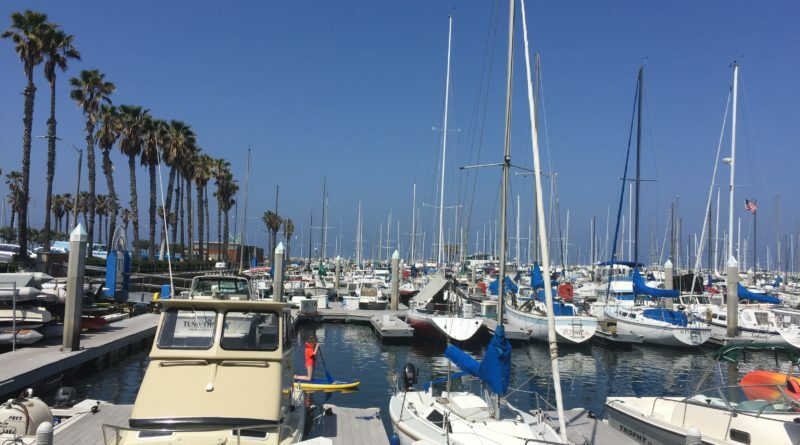 Redondo Beach voters delivered CenterCal’s Waterfront project its first blow in March, when they overwhelmingly supported Measure C, a ballot initiative drafted specifically to restrict the nature of any development along the waterfront. A second blow came several weeks later, when the California Coastal Commission agreed to review the Waterfront project after finding “substantial issue” with CenterCal’s proposal. Commissioners agreed to review the project just three days ahead of the May 16 runoff election between Nehrenheim and Barbee. Also complicating matters is the $14 million lawsuit CenterCal filed against the city almost immediately after Measure C was approved. Nehrenheim and Barbee were the top two vote getters in a crowded field of City Council hopefuls who ran to fill the city’s District 1 seat during the March 7 primary election. Nehrenheim earned the most votes during the March 7 election but fell short of the 50 percent plus one mark, forcing a May 16 runoff election against the second place candidate, Barbee. Hardly a boating activist. Who’s writing this stuff and verifying facts?? This guy is a crock. He’s an uneducated loudmouth that managed to lie to redondo in order to get elected. The results will be seen!